​Sean Payton and Drew Brees were at the forefront for the Saints during postgame interviews after their loss to the Falcons, claiming that Thursday Night Football is terrible for the sport, especially regarding health and safety. On top of that, their loss was a controversial one, so it's no surprise the two were heated. 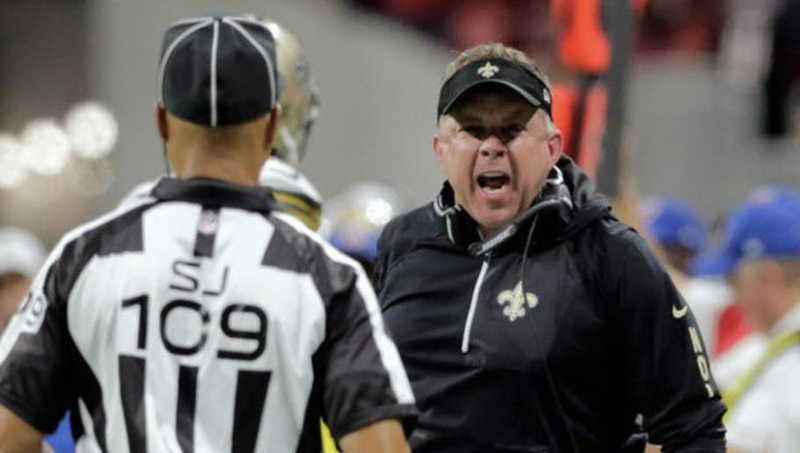 Payton also demonstrated a serious distaste for the officiating crew responsible for some brutal calls in Week 14 and throughout the year. But he's not wrong. The former NFL vice president of officiating agrees with him. ​​​​The Saints' illegal formation penalty to close out the half was clearly botched. It's a live ball penalty, which does not call for whistles right away, but that's how the refs treated it. It stirred confusion, and then the officiating crew ultimately discounted the made field goal and ended the first half. Already fed up, on the final drive of the game, Payton tried to call a timeout and was not granted one. And he let the crew hear it, leading to an unsportsmanlike conduct penalty. ​​​​It appears as if there are flaws from head to toe in the NFL, and some serious discussions need to be held to clean up the image of the game entirely.